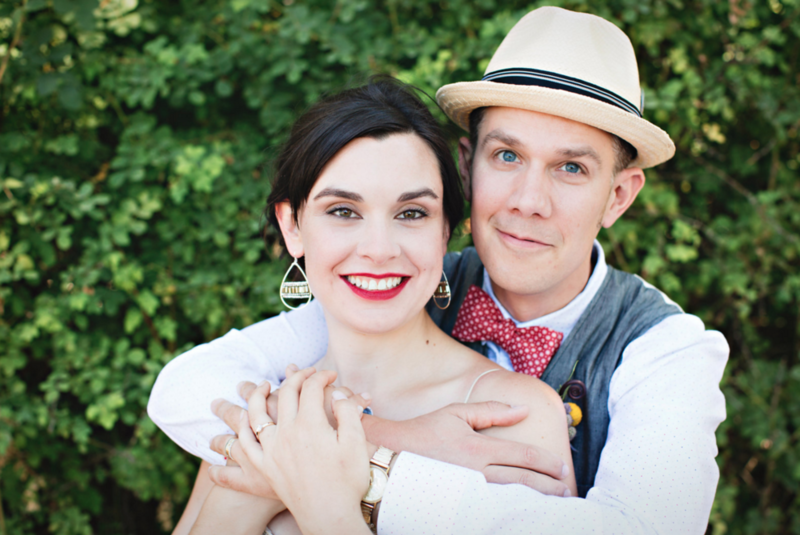 Meghan & Nat have been friends of mine for years so it was a complete honor to be part of their wedding day. The guest list included a lot of dear friends of mine so it was super fun! 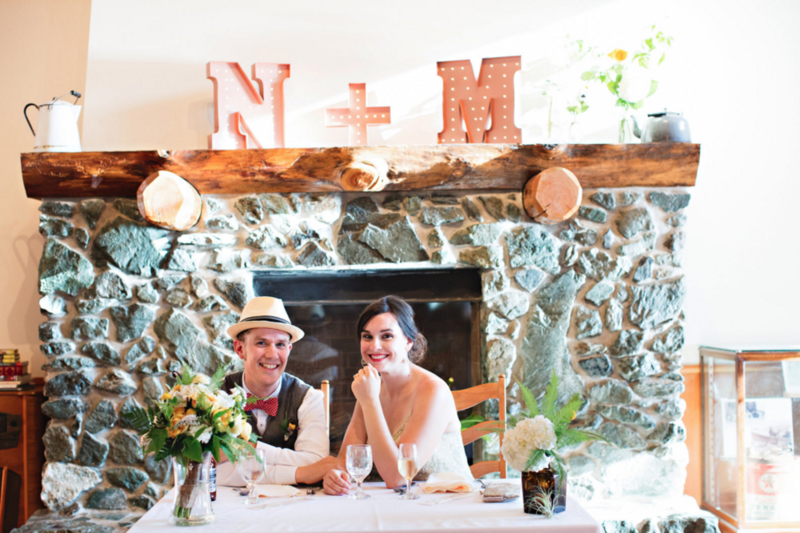 Meghan & Nat are an adorable couple and their personalities were seen throughout all aspects of their wedding. 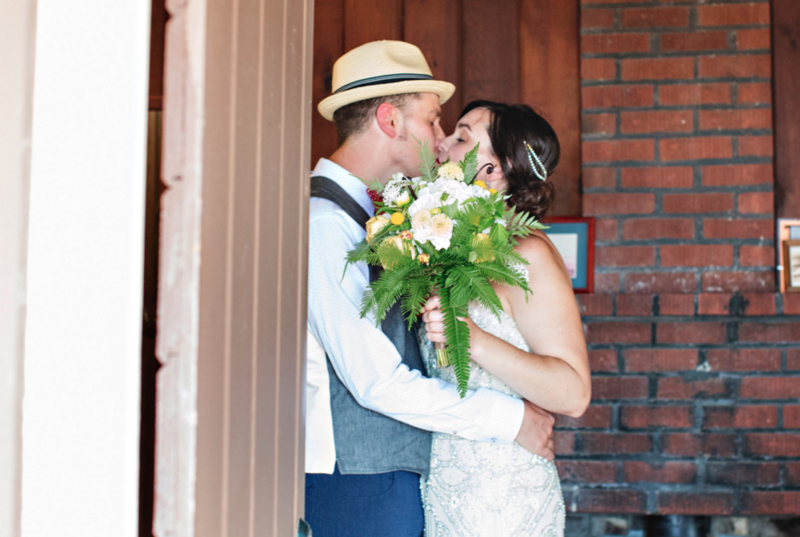 They chose Cama Beach State Park as the backdrop for their August wedding. 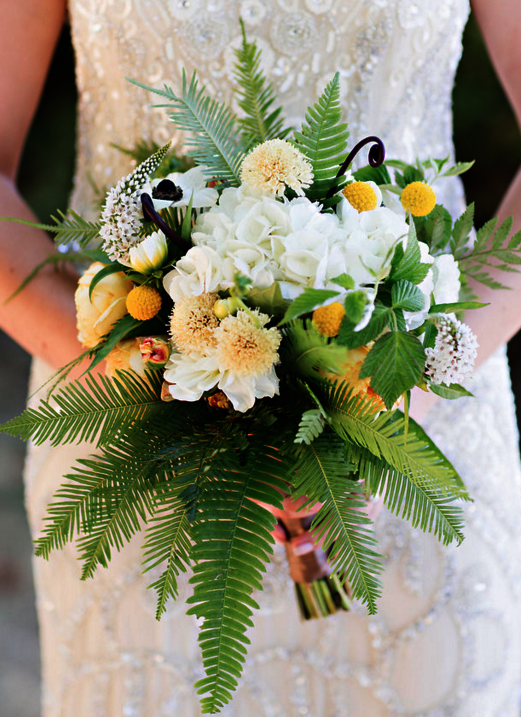 Meghan wanted the flowers to compliment the surroundings so we added tons of ferns and foliages to her bouquet. Everything used was local and gorgeous. The only request from Nat was that there be some blue tucked in, which we achieved through eryngium. 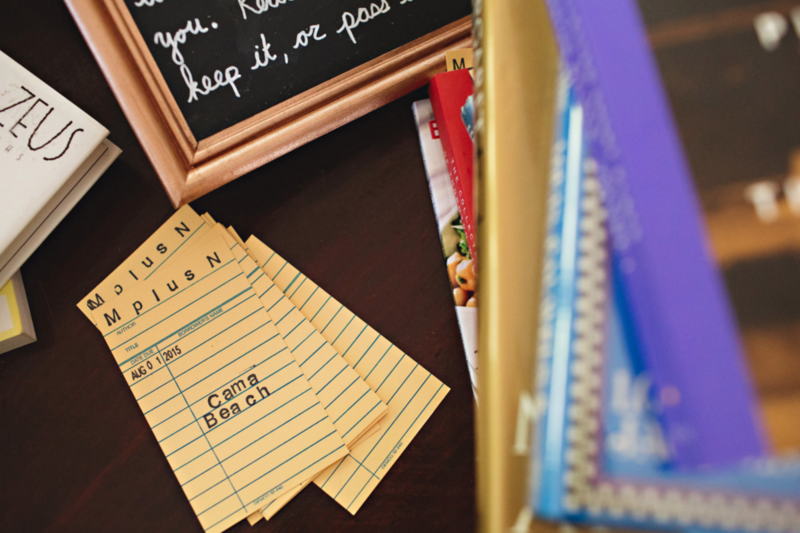 Their reception was amazing, filled with books lined with personalized library cards--Meghan & Nat's love story includes a library and is very sweet. I was bummed to miss much of the day and night's activities but it was a very busy wedding season! I did hear that there was not only one but two dances performed for the wedding guests by the bride and groom. I wish I had seen that! It was really special to be a part of this day and see two friends start this journey together. Luckily, I get to see the rest of their continuing love story which has yet to unfold. All the best Meghan & Nat! The colors: yellow, whites, greens and blue. The haul: hydrangea, gooseneck, white dahlias, umbrella fern, leather fern, raspberry greens, scented geranium, caramel antike roses, white hypericum berries, white anemones, yellow scabiosa and adorable fern curls. 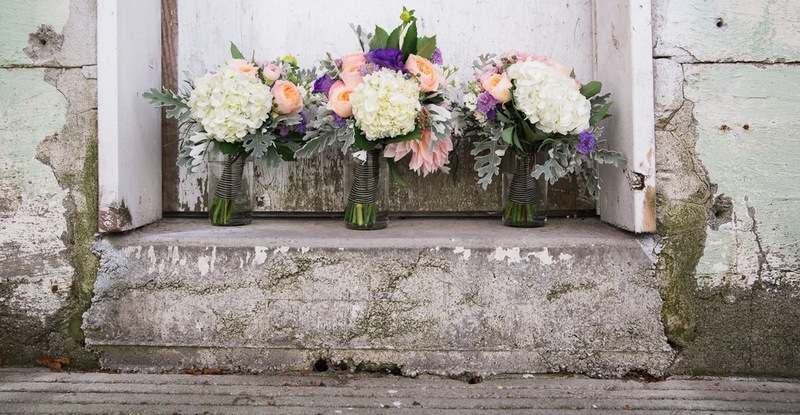 This incredible day and all of these gorg photos were captured by the über talented Jenny J. She does amazing work! Check out more of Meghan & Nat's wedding day on her website here.